El próximo 2 y 3 de Noviembre se celebrará la 3ª Feria Internacional de Coleccionismo Ciudad de Jerez. Este acto se inaugurará el sábado día 2 de Noviembre, a las 10 de la mañana, en el Centro de Congresos del Hotel Guadalete, Jerez de la Frontera, Cádiz. Donde se podrá cambiar, vender y comprar, todos aquellos artículos relacionados con el coleccionismo. Además se habilitarán mesas y sillas, para que los coleccionistas puedan intercambiar sus artículos. Esperamos reunir a un buen número de aficionados a esta temática, de toda la península, ya que no solo sería una feria, si no una experiencia compartida entre amigos con una misma aficción el Coleccionismo. Esperamos que no os lo perdaís y que disfrutéis de esta gran reunión. 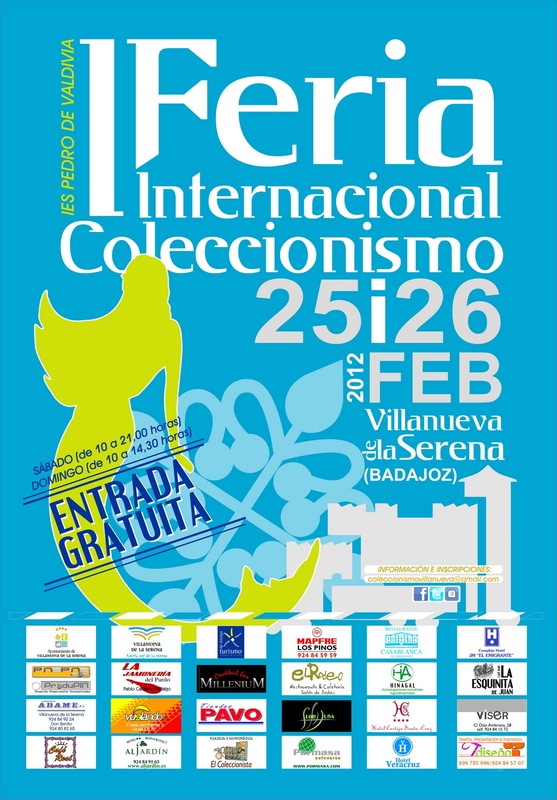 On 23 and 24 February will be held in the city of Bajadoz the II International Fair Collectibles Villanueva de la Serena. In this event we will share a good experencia in which all participants will show their experiences and precious items. Also be exhibited all kinds of collections from coins, stamps, pins, keychains, sugar, books, bookmarks, movies, posters, diecast, figures, toys, etc.. This will take place in the IES Pedro de Valdivia. Avda De Chile, Don Benito (Spain). Hope you do not miss it and you enjoy this great gathering of friends collectors. On 23 and 24 February we are pleased to invite you to the SECOND INTERNATIONAL FAIR OF COLLECTING Don Benito, to be held in that city of Badajoz. We encourage you to invite you to come and to whom you want, taking advantage of the weekend to get away from it all and enjoy Extremadura and your hobby. There will be a free trade area with tables for all attendees, these tables will be exclusive to exchange for what is forbidden to sell. Be allocated free of charge to every collector's association who requests a space reserved in your name only. An exclusive area will be enabled. The minimum is 2-meter space with a starting price of € 10 and can purchase additional space at 10 € / meter. This price is including accreditation and gifts from fair. If you are interested in bringing your collection or to expose part of it, we also have an area set up. Contact us for availability. On 3 and 4 November in Jerez, Cadiz Collectibles II International, organized by Francisco Moreno. This year we will meet at the congress center of Hotel Guadalete, where many collectors will gather to share experiences and impressions. 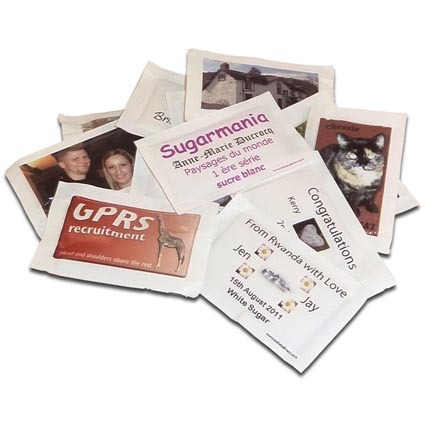 Open new collection of sugar packets and can be categorized by country, year, make, color and theme. The collecting wrappers and sugar is called from the Greek Glucofilia: Glucos (Sugar) and Filia (Hobby). A variant is periglucofilia Glucofilia which is the art of collecting empty packs of sugar. Collectors and fans packing périglucofilos sugars are empty. There are regional and national associations that bring together some of the collectors. Sometimes these associations registered trademarks used to identify, is the case of the Catalan Association, called glucosbalaitonfilia association, which has popularized this name in the region for this type of collecting.